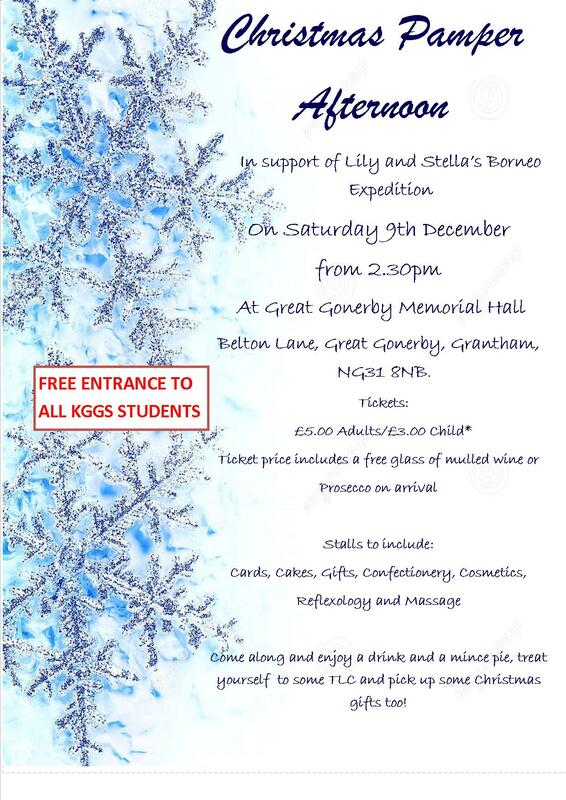 To raise funds for their Outlook expedition next summer to Borneo, two of our Year 11’s have organised a Christmas Pamper afternoon at Great Gonerby Memorial Hall on 9th December from 2.30pm onwards. Entrance £5 on the door and includes a glass of mulled wine or Prosecco on arrival. The event includes cards, cakes, gifts, cosmetics, reflexology and massage.